I often hear students say: “Palm trees and movie stars, beaches, convertibles and suntans–for college? Sign me up!” If you dream of In-n-Out burger and the Sunset Strip almost as much as you dream of getting a stellar college diploma, consider one of the highly-regarded California colleges. To apply to be a California college student in a California state college, you need to understand the difference between the three-tiered public education systems in Cali: the UC system, the Cal State system, and the California Community Colleges. The Cal State system consists of 23 campuses enrolling 414,000 students. The currently un-impacted campuses include: Bakersfield, Channel Islands, Dominguez Hills, East Bay, Maritime, Monterey, Stanislaus. In the 3 tiered state public education system, the UC schools and CSU schools give admissions preference to students transferring from California Community Colleges. Because of the 3 tiered system, the UC schools are considered the research universities, awarding BA, MA, and PhDs; the CSU system focuses on teaching, awarding BA and MA degrees, and the Community Colleges award two-year degrees as a stepping-stone to either the UC or CSU system. The UC schools attempt to admit California students in the top 1/8th of their graduating classes; the CSU schools attempt to enroll students in the top 1/3rd of their classes. All students can attend Community College. Something that out-of-state applicants need to be aware of is that both systems have very small windows for applying: the applications open on October 1 and close on November 30. There are no exceptions and no late applications are accepted. Out-of-state students who are interested in applying to the UC and CSU schools should also be aware that both systems require a full year of a visual or performing art (VPA) in the SAME art. You do not need to take the two semesters of art in the same year, as long as they are in the same discipline. For example Beginning Photo and Advanced Photo, Beginning and Advanced Ceramics, Choir, Band, Drama, etc–you need one, full, total year. Yearbook and Journalism do not count as a VPA. 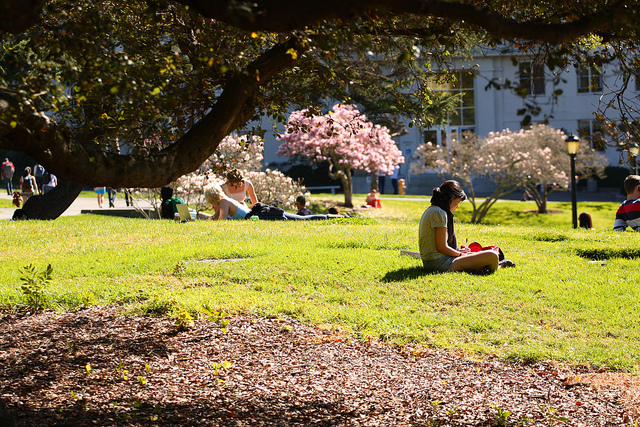 Check the requirements on the UC admissions page. The UC schools require four essays that you can choose from eight prompts, and each essay has a 350 word limit. These are called the Personal Insight Questions and can be found here on the UC website. CSU schools do not require essays. UC and CSU schools do not require transcripts be sent until June, after acceptance, to verify each application. No rec letters are required. You can do one application for all UC schools–and you only need to send your test scores to one school because they all share scores in their system. You can do one application for all CSU schools. On the main CSU website you can run the Eligibility Index to see if your grades and test score make you eligible for admissions. Do this before you apply. CSU undergraduate admissions are based on applicants’ GPAs and test scores and course rigor, and generally do not consider items such as personal statements, SAT Subject Test scores, interviews, or recommendation letters. For both the UC system and the CSU system only “a-g” courses taken in sophomore and junior year are used for preliminary GPA. You cannot include freshman year classes. However, 9th grade will be calculated in class rank. This is important for the UC system because if you are a California state citizen and you rank in the top 9% of the state OR in the top 9% of your high school you are guaranteed admission to a UC. Also, remember that when you send your transcript, your freshman year grades will be visible to the colleges although they will not be taken into consideration. California is a state that offers two world-class public school systems, so spend some time researching the different personalities and vibes of these esteemed public institutions of higher learning. 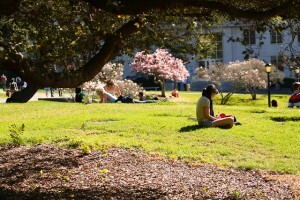 No matter what your major and learning style, there is certainly a great school for you in sunny California! Please update this to include the personal insight questions, 350 word limit. Your previously accurate but now incorrect information pops up as an answer to the required writing for UC applications. Time to update.